A compelling dystopian novel; winner of the 2010 New Zealand Post Children's Book Awards: Young Adult Fiction. Maryam refused to play by the Rules, and now they're out to get her blood… The people of Onewere, a small island in the Pacific, know that they are special-chosen by the great Apostles of the Lamb to survive the deadly Tribulation that consumed the Earth. Now, from their Holy City in the rotting cruise ship Star of the Sea, the Apostles control the population-manipulating texts from the Holy Book to implant themselves as living gods. 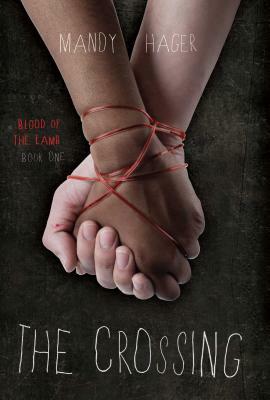 But what the people of Onewere don't know is this: the white elite will stop at nothing to meet their own blood-thirsty needs… When Maryam crosses from child to woman, she must leave everything she has ever known and make a Crossing of another kind. But life inside the Holy City is not as she had dreamed, and she is faced with the unthinkable: obey the Apostles and very likely die, or turn her back on every belief she once held dear. This book is a fast, suspenseful drama underpinned by a powerful and moving story about love and loss. Mandy Hager is an award-winning writer and educator based in Wellington, New Zealand. She has a drive to tell stories that matter-direct, powerful stories with something to say. She won the 2010 New Zealand Post Children's Book Award for Young Adult Fiction for The Crossing. Visit her online at www.mandyhager.com, www.facebook.com/BloodOfTheLambTrilogy, and on Twitter @MandyHager. "Like 1984 for teenagers-direct, passionate, and powerful." "A post apocalyptic thriller of such force and originality...."